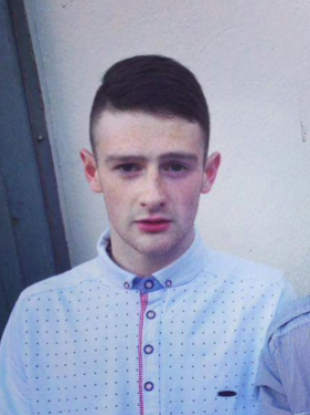 FIVE TEENAGERS HAVE been arrested over the murder of Christopher Meli. The young father was beaten to death over the weekend and found on Saturday morning on a pathway near Glasvey Close in the Twinbrook area of West Belfast. The group, which consists of two females and one male aged 17 and one male and one female aged 16, are currently being held in custody in connection with the investigation. The PSNI have said that they believe that as many as 20 people were involved in the attack. Yesterday three males, two of whom are aged 18 and the other of who is aged 16, appeared before the Lisburn Magistrates’ Court having been charged in connection with the case. All three yesterday had their bail applications rejected and were ordered to appear before the court via video-link. 20-year-old Christopher Meli had been the father of a two-year-old boy. Hundreds of people held a candlelit vigil for Meli on Monday evening in Belfast. Police in Northern Ireland have asked that anyone with information relating to the incident come forward. Comments on this article have been turned off as it is the subject of ongoing legal proceedings. Email “Five teenagers - three girls and two boys - held over the murder of young father who was beaten to death”. Feedback on “Five teenagers - three girls and two boys - held over the murder of young father who was beaten to death”.